The Witcher 2 Early Review In!!! 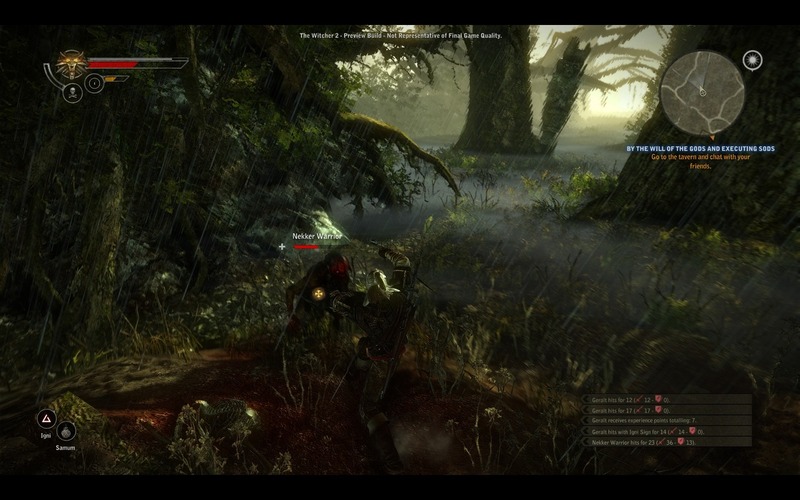 PC Format UK, has reviewed an early (pre-release) build of The Witcher 2. Can't link it, as I'm viewing the actual the mag. To cut a long story short,the score is 92/100. Summary: Involving Combat, Stupendous Visuals, Varied gaming. It goes on to say; If the bugs are stamped out (awkward pathfinding), we've got a new king of role-playing to doff our caps to. Witcher 2 is vast, varied and challenging. Not too bad at all, considering CD Project is still polishing the game. I for one can't wait for the 17th!!! How can they review a preview build? It was just the first chapter. Bugs for the vanilla version of the game was expected, at least for me. Let me get this straight. you are predicting it will flop because it was given a high score? Anyway, this review holds no weight at all, they are reviewing only 1/3 of a game, and a preview build no less where it's full with bugs and nothing is finalized. 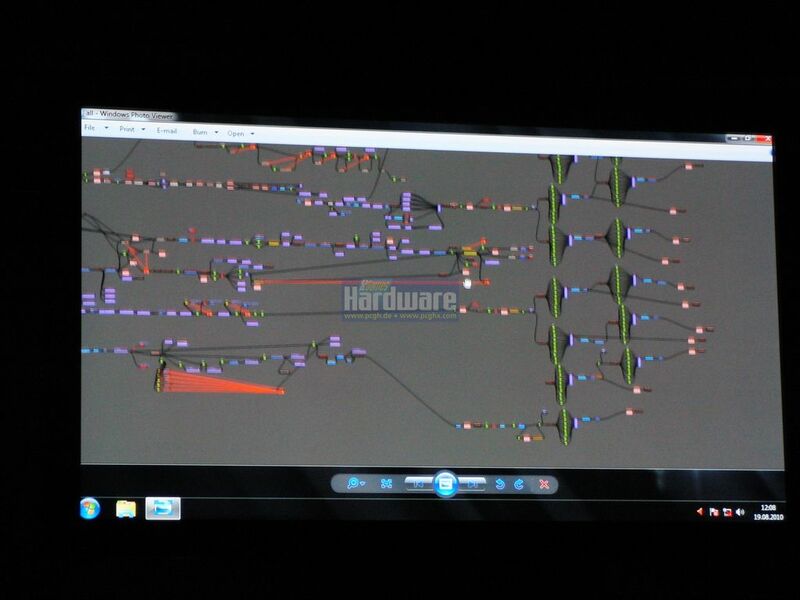 its probably the full game but with issues and not fully tested yet....a beta basically. it was the same with shogun 2......reviewers have played and reviewed a version with DX11...something we dont have yet. mags do that from time to time to ensure that the review is out early or on time. other mags have a policy of only reviewing the finished article though. anywho looking good. i have a lot of RPGing to do next month....modded morrowind, DS3, drakensang (just dug up my copy :D ) and this....good month :). Batman AA got like 9.4-9.6 for 1st score and look how that turned out. A lot of games get this, people complain that games should be re-evaluated after patches and updates plus they are hardly going to play the game from start to finish on every difficulty setting while collecting every item and slaying every beast before deciding on how good a game is, does this mean that people who say "I played 2 hours and gave up" didn't do a thorough enough test and that their opinions are wrong? No...it means that this is far from the full finalized game and it's unprofessional to give a review of an early demo. That little message up there is present for this reason alone. See? The score doesn't really interest me. What does is this; Involving Combat, Stupendous Visuals, Varied gaming. Now that is something to look forward too! [QUOTE="ducati101"]The score doesn't really interest me. What does is this; Involving Combat, Stupendous Visuals, Varied gaming. Now that is something to look forward too! Yeah, well all the previews have been saying that. Indeed it is something to look forward too. I thought it was 5 chapters long? I never trust these early review. pretty sure devs said the game would have 3 chapters. I think there's a prologue and an epilogue as well. The game will have three chapters plus prologue and epilogue. Chapters 2 and 3 will be entirely different depending on the players' choices. Found links to this review. If anyone interested, pls pm me. If CDProjekt gave permission to review, then it's ok.
Obviously this is a review you can trust. Its pretty sad how much faith we put in reviews really. The dev's last outing was strong, the game looks amazing and early previews have been stellar. What else do you need? I think the first official review is supposed to be in the Polish Pc mag CD-Action. I may be wrong though. This review is a sign for me to not trust "PC Format UK". Early reviews of a not yet released games (like this one) are far from being professional and bring no valuable information - no wonder that they gave a very high score to DA2 (95, I believe) while the general consensus among the gaming sites was that DA2 was far from being a great game or at least nowhere close DA:O... It just proves that they don't treat game journalism, game reviewing and even gamers seriously, and that they're just a bunch of damn lazybones only knowing how to take money for a badly done job. Wasn't that PC Gamer UK? I think those are two different magazines. Don't get your hopes up, the first review of Dragon Age 2 said it was revolutionary. I lost trust in early reviews after PC gamer gave Dragon Age II a 92/100 a week before the release. CD Projekt Senior Producer Tomasz Gop stated during a live chat today that no media received full game so far so they could only have done a preview not a review. By they way today CD Projekt sent gold master to production! Good news. I gotta pre-order it. And there are eight different versions of epilogue, each one with two different endings. But obviously we will visit only one from the 2nd and 3rd chapters and only one of the epilogues. If this confirms to be true, then it could be one of the best rpgs since long time. Weird to review a preview copy, but I'm sure the game will rock. ...I have one question; Can you change his god aweful haircut? If I'm going to role play, I'd rather not look like a glam rock barbarian.